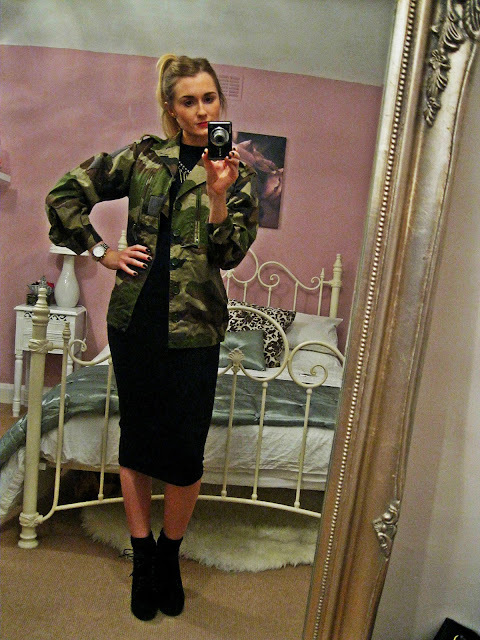 Still being a fan of the camo trend OLDER POST, I thought it was time I dug out my army jacket. 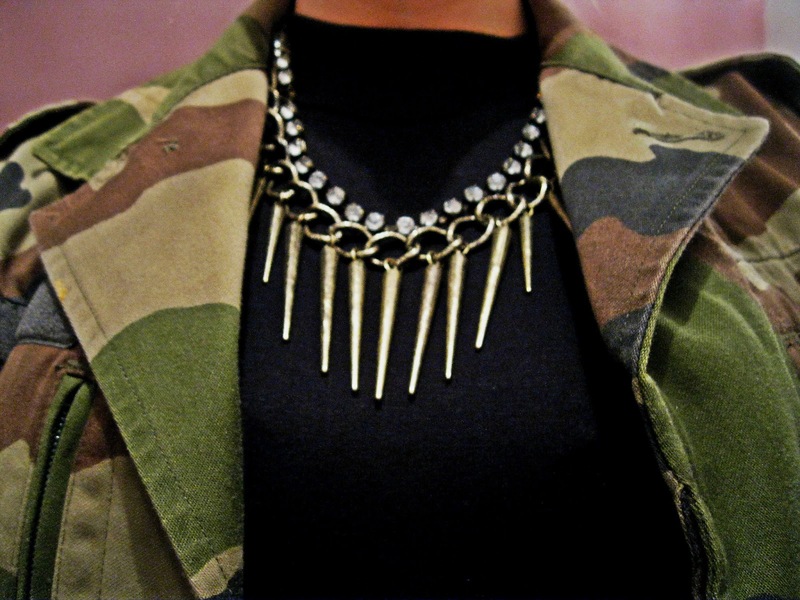 Although I love the current feminine fashions when it comes to evening attire - think sequin bralets and pencil skirts - here I have opted for a more edgy look. 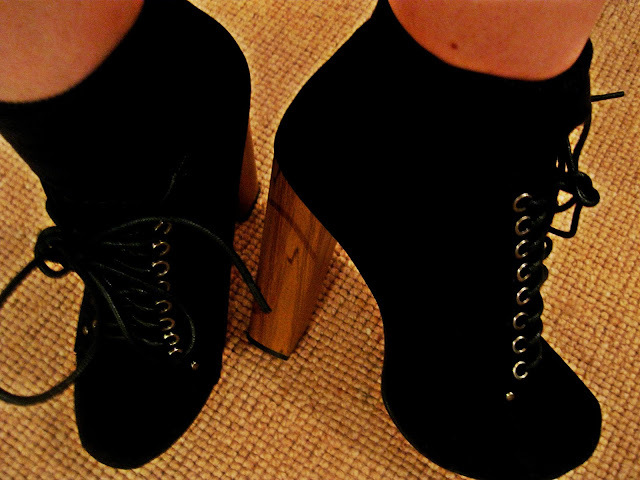 Mixing trends can result in a fashion mismatch with the appearance of trying too hard and in short, disaster. However, in keeping it simple I think (hope!) 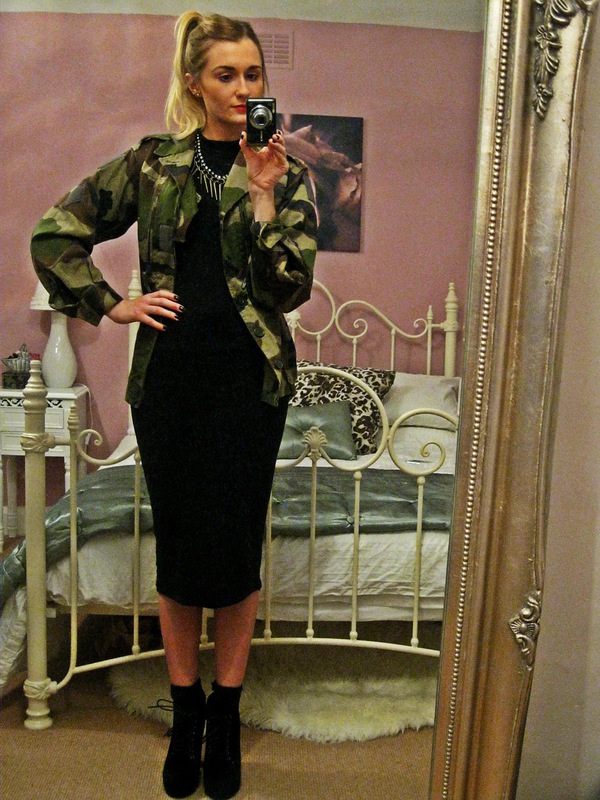 this goth meets military look works well. Midi styles are still bang on trend and this high-neck dress was a Missguided purchase. Teaming it with my lace-up platform boots and a spiked necklace, the final touch was a slick of red lipstick. Loving the blog revamp and especially like the pencil skirt! Hey gorgeous! Not sure if youve already done this but i nominated you for that liebster award thing cus your one of my fave blogs with under 200 followers!